During the three-day business mission from 14 to 16 April, H.E. 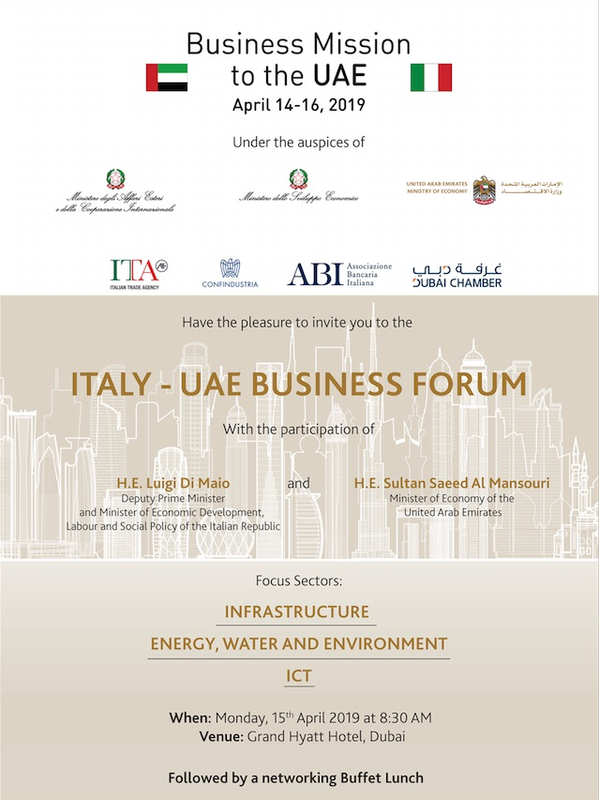 Luigi Di Maio will jointly host the Italy-UAE Business Forum with H.E. Sultan Bin Saeed Al Mansouri, Minister of Economy of the UAE tomorrow, Monday 15 April, from 8.30am at the Grand Hyatt Hotel, Dubai. 1. Panel on Infrastructure: UAE Infrastructure development. 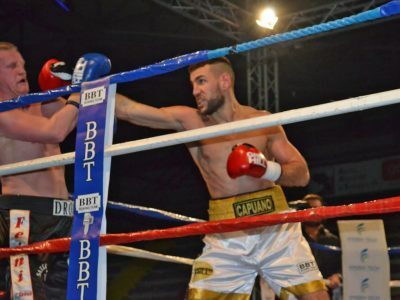 Current and future strategies and projects. 2. Panel on Energy, Water and Environment: Opportunities and challenges for strategic partnerships with Italian companies in the evolving UAE energy sector. Following the conclusion of the three panel discussions, H.E. Luigi Di Maio and H.E. Sultan Bin Saeed Al Mansouri will address the audience, which will be followed by the signature of the MoUs and Joint Declarations.